On our way to Oaklawn, I started seeing electrified large glass crosses, headed with large glass letters reading “Jesus Saves.” I thought these crosses were more than an appeal to Jesus. They looked to me they carried some kind of a secret message. They were all over south Chicago. What did they mean? These peculiar crosses became my introduction to a divided America. Whites and blacks had their own societies right next to each other. Whites had the power and wealth. Blacks had very little, save a living memory of slavery. They protested white oppression and struggled for integration within the large white society. But, in 1961, things looked frozen. Trouble was in the air. Being eighteen with rudimentary English and starting college removed the injustice of America from my mind. I could not handle it. My instinct led me eventually to the Greeks. The choice had something to do in helping me cope with my new environment – strange, silent, threatening, difficult to decode. After several years at the University of Illinois and University of Wisconsin, I earned a doctorate in history from the University of Wisconsin. I followed that with postdoctoral studies in the history of science at Harvard. I then worked on Capitol Hill and the US Environmental Protection Agency. My unpleasant and often bitter experience in these institutions partly reflects my disappointment with the lax ethical standards and corrupt science prevailing in political Washington and industrialized America. Greek architecture shaped the Library of Congress, the Supreme Court, and Congressional buildings. In fact, in a dreamy moment I compared the Congressional neighborhood of Washington, DC, to fifth century BCE Athens. I went to work thinking that some of this Hellenic affection of America must have been more than a fake imitation of Greek architecture. So I went to work thinking how to improve human life and protect the natural world from the myriad gadgets and poisons industry had been churning out for decades. Once my delusions about America faded, I embraced the Greek achievement even more. I felt good and secure in those imaginary and real realms of Greek literature, philosophy, science, gods and heroes. My Greek journey took a new turn about ten years ago with my study of the Antikythera Mechanism, a gear computer of scientific technology Greeks created in the second century BCE. In 2007, I saw for the first time the fragments of this sophisticated astronomical device in the Archaeological Museum in Athens. I looked carefully at these fragile fragments and examined dozens of x-ray pictures of the largest fragments revealing the intricate and interlocking gear trains inside the computer. This immersion in the technology and beauty of the astronomical device brought me closer to understanding why the Greeks invented and manufactured this machine, without doubt the greatest achievement of their civilization. They put their modern-like science and engineering skills and virtues in this computer in order to open another window to the heavens, a cosmos of order and beauty. The device accurately followed the movement of the Sun, Moon and the planets and predicted the eclipses of the Sun and the Moon. It was also an accurate calendar. The expansion of the Greeks to Egypt and the Middle East after the death of Alexander the Great in late fourth century BCE set the foundations for the modern world. The Greek kings of Egypt created the Mouseion, a university of sciences and humanities, and a Library. They funded the exploration of the natural world and the heavens and the study and editing of the poets and writers of ancient Greek civilization. The Italian scholar of the Alexandrian age, Lucio Russo, said the result of this intellectual activity at the Mouseion and Library was an explosion of scientific knowledge about the world. The Antikythera computer came out of the scientific institutions and Library of Alexandria. 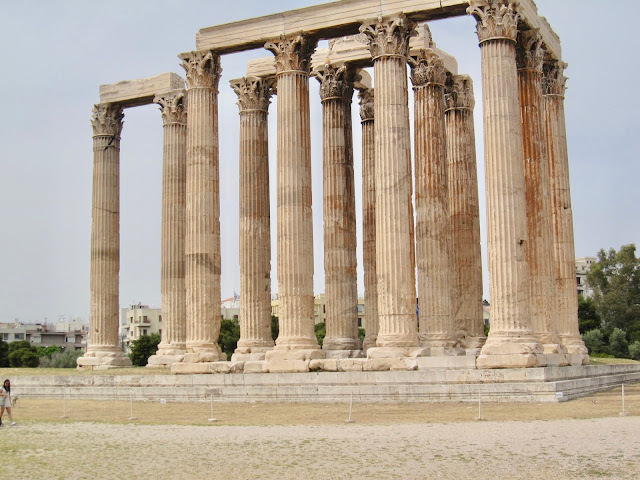 My research and interest in this explosion of enlightenment in the Greek world led me to Greek art – the intellectual and material remains of Greek civilization and the images Greeks made of themselves and their world. They decorated everything, including the humble ceramic cups they used for drinking water and wine. They painted the walls of their homes and those of public buildings, including the Parthenon. Mosaics, paintings, ceramic vessels, jewelry, coins, statues, altars, stadia, theaters and temples told the story of their makers. The end was a mixture of science, craftsmanship, beauty and goodness. It’s in that combination you can see ancient Greeks. The surviving art shows the Greeks no different than the characters coming through the pages of poets like Homer, Aeschylus, Sophocles, Euripides and Aristophanes; philosophers like Plato and Aristotle; and the writers of the Alexandrian era. Art was philosophy. Of course, the Greeks were not perfect; they knew that well. Their literature was mostly about enlightenment, not perfection. They aimed at eudaimonia, the enjoyment of the good and examined life. They left perfection to gods and, possibly, heroes. The athletes competed naked in order to erase any sign of inequality among them. In addition, nakedness revealed beauty. And looking at a naked athlete, god or hero you also think of the good and beautiful embedded in that nakedness. I borrowed images from museums, books and Wikipedia. I also take my own pictures. I use photos for the illustration of Greek history. 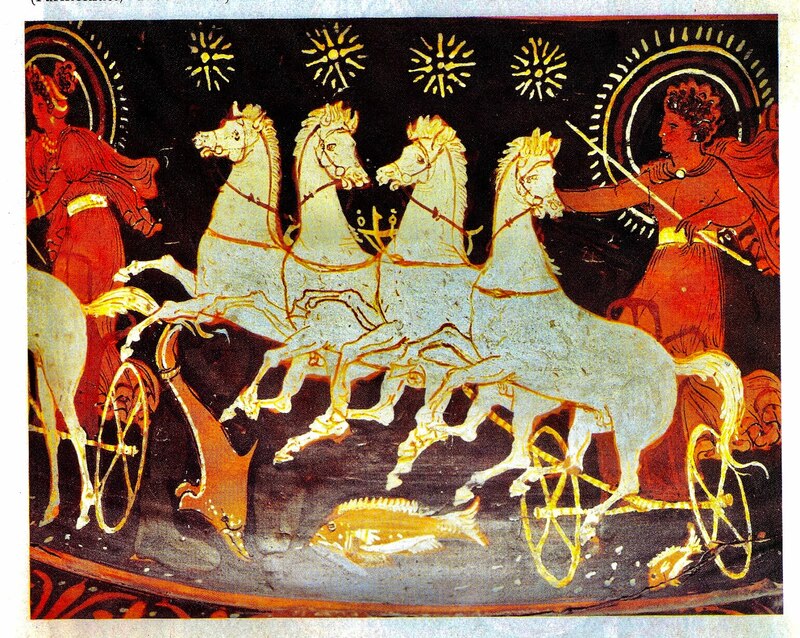 Pictures give life to the Antikythera computer, Greek traditions from the second millennium BCE to mid-twentieth century, the Olympics and other Pan-Hellenic games, the Iliad and Odyssey of Homer, mythology and Greek medieval and modern civilization. These images bring me slightly closer to ancient Greeks who gave us so much of our civilization: political theory and the warnings of Plato and Galen, the great Greek physician of the second century, not to put money and wealth ahead of virtue and especially science; the Parthenon; the biology of Aristotle; the geometry of Euclid and abstract mathematics; the geometry and engineering of Archimedes; mathematical astronomy and gears for computers. We need Greek wisdom right now, especially science uncontaminated by money and lobbyists. I know that I live in revolutionary times. America and other countries devoted to the commercialization and militarization of science and technology are threatening civilization and the world. Second, in 2018, America is falling apart. President Trump is consolidating the power of the rich, pushing America to plutocracy. The Republicans and Trump lowered the taxes of corporations and the rich, handing them something like a trillion-and-a-half dollars. This inequity, which in 1961 troubled me, has become a gigantic gangster-like force undermining democracy and civilization. The conflict between Republicans and Democrats may lead to civil war. Trump’s attack against public and environmental health is an onslaught against each one of us and the natural world. Honeybees are on the verge of extinction. 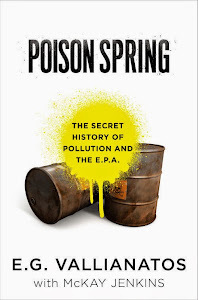 The very institution I worked for twenty-five years, the US EPA, is openly licensing corporations and factories to pollute. The Greeks did not need an EPA. The natural world was sacred to them. But they went through political schisms and civil wars. Reading them sheds light on the roots of America’s breakdown. The Greeks thought plutocracy was a bad government. It still remains the worst form of government.